1 There's a lot of cardboard love going around the internet these days and I was tickled pink last night to find that my ancient What's In A Box Post was repinned on pinterest more than 200 times! And someone else described me as having a "psychotic love of cardboard". Cool!!!!! 2 Going back briefly to the topic of copyright infringment, I'm going to make one change to my feeds to see if we can possibly cut down on this happening. For the time being, all my posts that are full tutorials (i.e. the kinds that are most often stolen) will be posted as partial feeds. Everything else remains unchanged. So posts like this one, and the kind with me rambling on about the ghosts of my crafthood past, or my nutella addictions, or showing off whatever thing I've just made (i.e. the kinds that people aren't interested in stealing), will still be in full feed. Those of you who come to my site directly rather than through an aggregator won't notice anything different at all. The point of this is to have a person come to my actual blog page to read a tutorial - and hopefully see my copyright notice in the sidebar. This might be useless move altogether, of course, but at least it would make it a little bit more troublesome to lift an entire tutorial. And people wouldn't be able to say, "But I didn't know your copyright policy." And now, on to today's post! I also think that you should post the link to your copyright policy at the bottom of all of those sorts of posts. Or at the top. 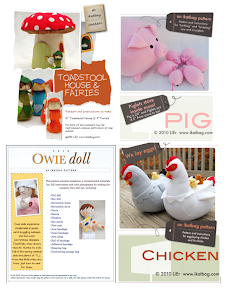 I love your blog- it's one of my favorite crafty ones to follow. 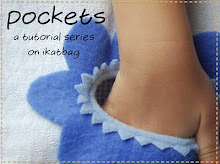 I read on an aggregator but I wanted to let you know that I DON'T mind AT ALL clicking through to see the full tutorials. It's pretty wretched that people steal your great ideas and fabulous info and I hope this will help! Keep up the good work- you remind me of my mom and I'm grateful you're out there crafting and sewing with your kids! Sorry to hear you're still having copyright issues - hope the feed trick helps! 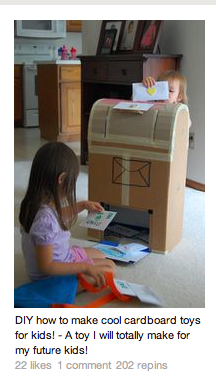 And that cardboard post is fabulous - no wonder it's so popular on pinterest! You are a cardboard artist- they should have said that too. I'm scheming as I'm typing on where to hide my cardboard stash from my husband. I hate that you're having copyright issues, does waterstamping the pics help with that? Also, now is as good a time as any to thank you for the inspiration your vet kit provided. I made one for my 8 year old's birthday in March, and it has been a huge hit. I printed one of your "documents" as is and personalized another, plus my 11 year old got in on the action by drawing her own x-rays on black paper with a white crayon. Thank you! to the point, would you please indicate somehow in the 1st paragraph that the post continues? Often is obvious because the sentence is incomplete, but today it looked as just if you were commenting the success of your post. I just clicked through in case it was something else, because I love the idea of cardboard. Am I allowed to pin photos from your blog using Pinterest? I always make sure the photo is linked to its rightful owner. Yes, Ayelet, that's absolutely OK!